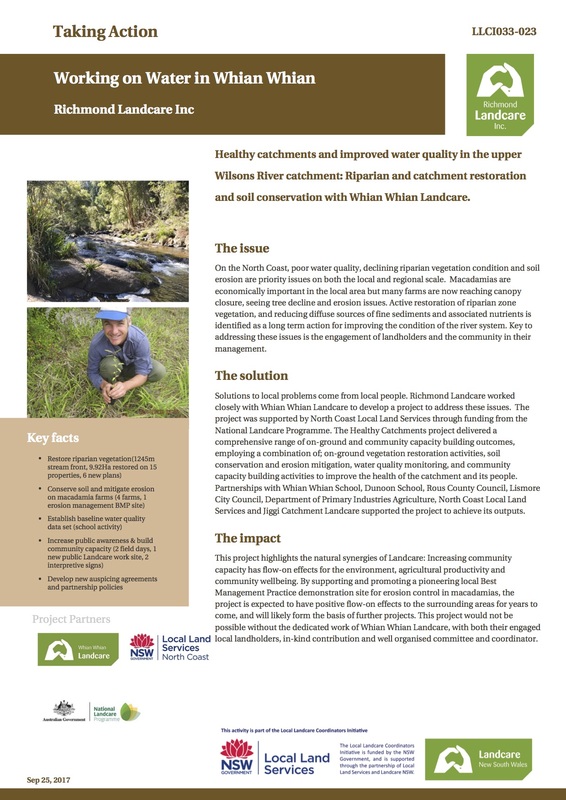 ‘Healthy catchments and improved water quality in the upper Wilsons River catchment: Riparian and catchment restoration and soil conservation in Whian Whian’ delivered a comprehensive range of on-ground and community capacity building outcomes aimed at increasing riparian and catchment restoration, soil conservation and community engagement in the Whian Whian locality of NSW. The project employed a combination of; on-ground vegetation restoration activities, soil conservation and erosion mitigation, water quality monitoring, and community capacity building activities to improve the health of the catchment and its people. The project piloted the construction of an artificial wetland on a Macadamia farm as a tool for mitigating soil loss and improving water quality exiting the farm. This project was delivered in partnership with Whian Whian Landcare as part of the 2017/18 Targeted Engagement Project and was supported by North Coast Local Land Services through funding from the National Landcare Program. Richmond Landcare hosts a Local Landcare Coordinator, funded under the 2015-2019 Local Landcare Coordinators Initiative. Our Coordinator Hannah Rice-Hayes works 2 days per week on a flexible basis. You can contact her here. Land for Wildlife is a voluntary property registration scheme for landholders who wish to manage areas of wildlife habitat on their property. Land for Wildlife encourages and assists landholders to include nature conservation along with other land management objectives. 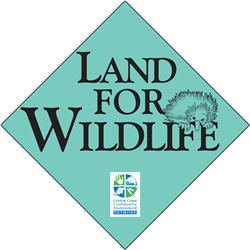 Land for Wildlife is free to join and is not legally binding. Registration in the scheme will not change the legal status of a property. 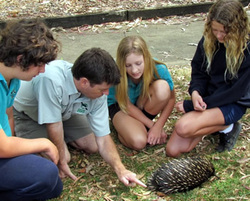 Richmond Landcare manages the Land for Wildlife scheme in the Lismore and Ballina local government areas. It is a simple process - Land for Wildlife does not come with any covenants or binding agreements and is a sign of your commitment to provide and maintain at least half a hectare of your property for wildlife. After an expression of interest is lodged one of our voluntary assessors will visit the property and take the application to the next stage. There are no costs involved. Richmond Landcare Inc is also able to send one of their team along to community group meetings to explain more about the program. Contact RLI's Landcare Coordinator - Hannah Rice Hayes, for more information. Complete the following form with name and email address then click on 'Submit' to send a contact request to Hannah. RLI manages a network of Junior Landcare member groups and schools across the Richmond Catchment. Over 50 pre-schools, primary schools and high schools in our area are working on environmental and sustainability projects with the support of our Schools Program. RLI believes that investing in our young people and their teachers is a strategic priority for our network and undertakes a range of projects with our schools groups to educate and inspire the next generation of Landcarers. If your school would like to find out how we can help you, please get in touch. RLI and project partner, Dorroughby Educational Environment Centre, are recipients of a Community Environment Grant for an exciting project, 'Artificial hollows and habitat enhancement for Gliders, Frogs & Koalas' for schools. The project is based on 'Taronga Zoo's 'Project Insitu' program, a highly successful community education program. 'Project Insitu' involves school children engaging their local community to take action in helping save a locally threatened species. Two high schools and eight primary schools will take part in the project. 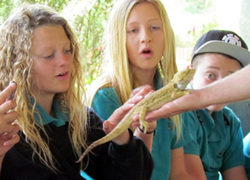 Each project is initiated by a visit from Taronga’s Zoomobile to make students aware of the plight of the chosen species( (Squirrel Glider & Great Barred Frog). Students are motivated to become part of the solution and challenged to create awareness and behaviour change in their local community. Project activities include building & installing artificial hollows to provide Glider habitat, tree planting to provide future habitat for gliders and koalas and improvement of local waterways to encourage frog breeding. Dorroughby Environmental Education Centre is a NSW Department of Education and Communities facility located 20 minutes NE of Lismore. 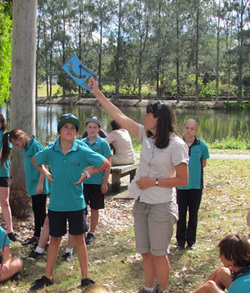 Experienced teachers provide sustainability, cultural and environmental programs for students K-12 at the centre, within schools and at a variety of other sites e.g rainforests, wetlands, and coasts. Dorroughby Environmental Education Centre (DEEC) is a NSW Department of Education and Communities facility located 20 minutes NE of Lismore. Experienced teachers provide sustainability, cultural and environmental programs for students K-12 at the centre, within schools and at a variety of other sites e.g rainforests, wetlands, and coasts. Pictured left: Christine Freeman, Principal DEEC, measuring how far a squirrel glider can fly. The Community Environment Grant for 'Artificial hollows and habitat enhancement for Gliders, Frogs & Koalas' is sponsored by Richmond Landcare Inc & Dorroughby Environmental Education Centre with funding provided by the Australian Government's Caring for our Country. Richmond Landcare Incorporated in partnership with NSW Department of Primary Industries and Best Energies Australia received $297,000. over three years under the 2008­/09 Landcare Sustainable Practices grant component of Caring for Our Country. “This project, “Soil carbon sequestration and rehabilitation: Landholders develop, implement and assess biochar”, is a continuation of the successful project funded under the 2007­08 NLP Community Support round. The pilot phase of the project assessed carbon fractions in soils at ten sites on the north coast, and biochar trials were established on over 130 plots. The aim of this project is to demonstrate and encourage the uptake of biochar applications to improve the sustainability of agricultural systems and to mitigate climate change. Biochar in Horticulture Prospects for the use of biochar in Australian horticulture - Published in 2012. Richmond Landcare Inc in partnership with NSW DPI receives Australian Government grant for carbon assessment project. Media release.